The USPS offers a service called Signature Confirmation that gives shippers extra peace of mind by requiring a signature from the recipients of their packages. Although USPS Tracking proves that a package was delivered to a particular address, Signature Confirmation proves that it was actually received by the intended recipient or his agent. Signature Confirmation costs $3.05 when purchased at a Post Office, and $3.05 when purchased electronically using online postage services such as Stamps.com. Signature Confirmation provides shippers with the name of the recipient as well as the delivery date, time, and location; a copy of the recipient’s signature will also be faxed, mailed, or e-mailed to you upon request. Delivery status information is available for one year after the date of delivery, and can be accessed online or by phone. Shippers may purchase Signature Confirmation with the following mail classes and services: First Class Mail (packages only), Priority Mail, First Class Package Service (packages only), Media Mail (packages only), Collect on Delivery, Insured Mail, Registered Mail, Restricted Delivery (if COD, Registered Mail, or insured for over $200) and Return Receipt (if COD, Registered Mail, or insured for over $200). To ensure receipt by a specific person (rather than that person’s agent), use Restricted Delivery in conjunction with Signature Confirmation. This requires the recipient of your package to positively ID himself before the USPS carrier will deliver the package. How Does Signature Confirmation Work? Signature Confirmation is an additional service that can be added to certain mail classes and must be purchased at the time of mailing. If you are sending mail at the Post Office, you can purchase this special service at your local Post Office. If you are sending mail using Stamps.com, you can add this service to your mailpiece before printing postage. 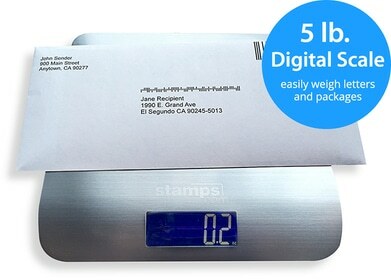 Stamps.com makes mailing with Signature Confirmation more convenient and cost-effective. Stamps.com customers have access to a $0.55 discount compared to Signature Confirmation retail rates. In addition to the cost savings, with Stamps.com you can save time by printing postage for all of your mailings without a trip to the Post Office. Skip the Post Office and save with Stamps.com!